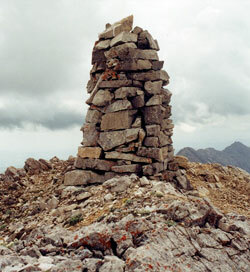 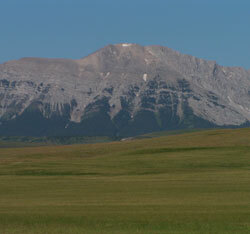 Centre Peak is the highest point on the Livingstone Range. 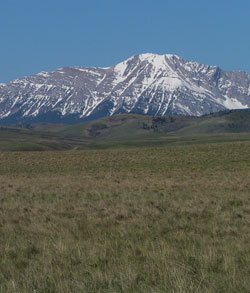 A low spot just below the summit holds a patch of snow until mid-summer, likely the last snowpatch on the Livingstone Range that may be seen from the foothills each year. 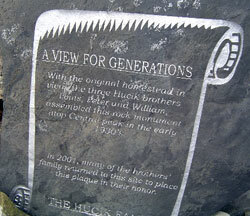 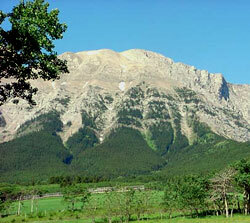 The Interprovincial Boundary Commission atlas referred to the peak as Mount Centre. 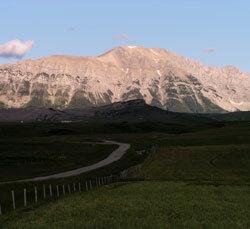 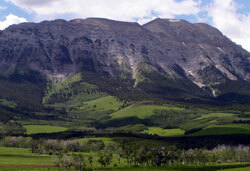 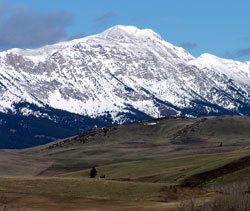 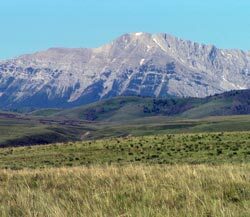 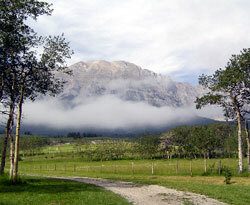 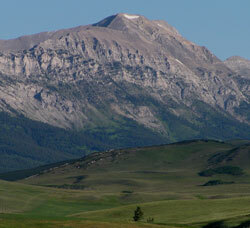 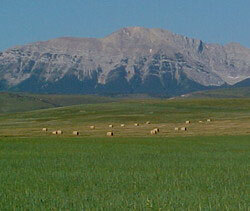 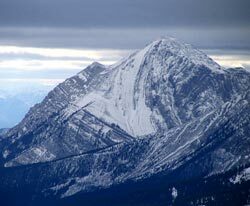 There is a Centre Mountain is located in Jasper National Park and another Centre Mountain in the Flathead Range.